Stranded in a strange Museum thats dedicated to him-and with no TARDIS in sight, The Doctor and Martha must make sense of their surroundings, hindered by one small fact-The Doctor has lost his memories of every one of his previous incarnations! 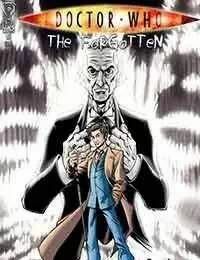 With items relevant to each Doctor in their possession, The Doctor must try to use them to regain his memories before its too late, starting with his earliest incarnations memories, involving Susan, Barbara and Ian. This all-new series written by Tony Lee (Starship Troopers) features artist Pia Guerra in her first monthly comic since Y The Last Man!